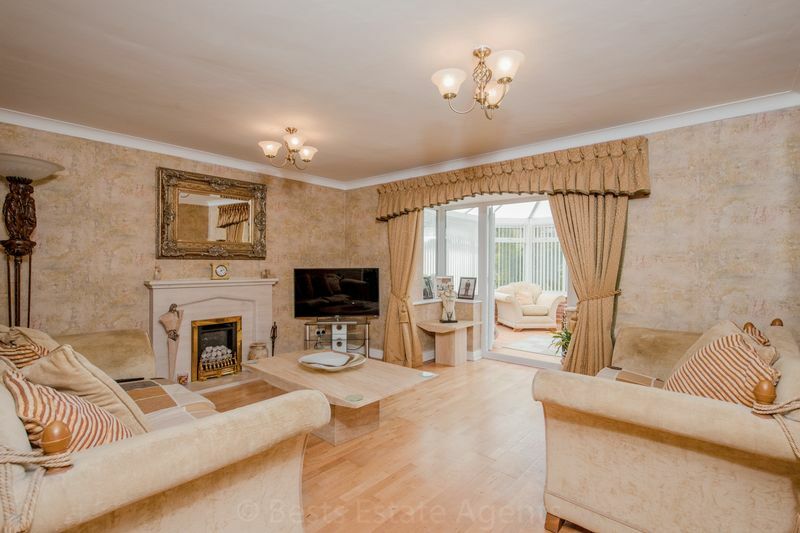 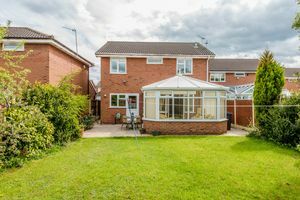 *FINE FAMILY HOME WITH CONSERVATORY* Bests are pleased to bring to the market this appealing four bedroom detached family home. 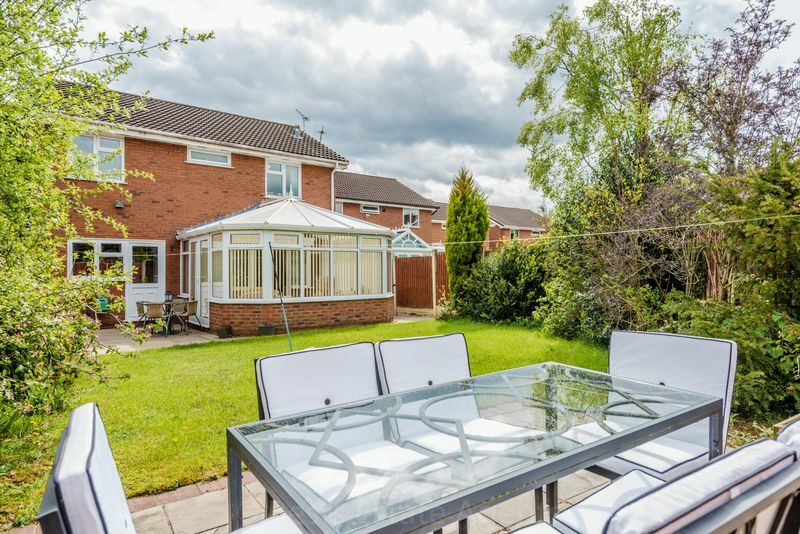 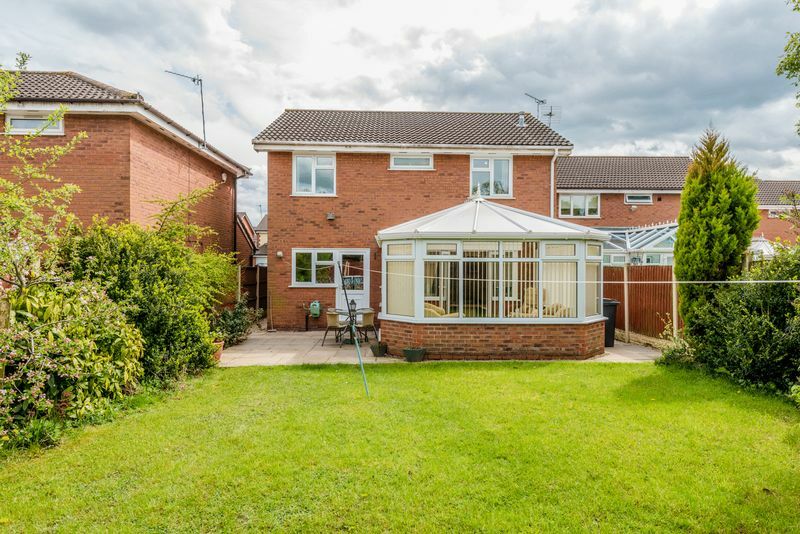 The property forms part of the Dorchester Park estate in the ever popular Sandymoor part of Runcorn well placed for commuters having easy access to surrounding road networks and within a short drive of Stockton Heath and Warrington. 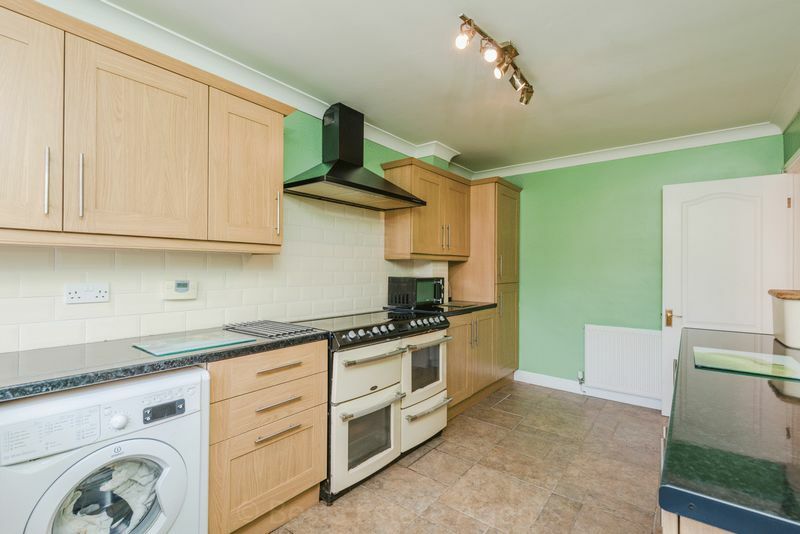 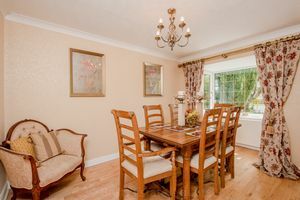 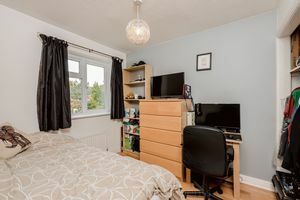 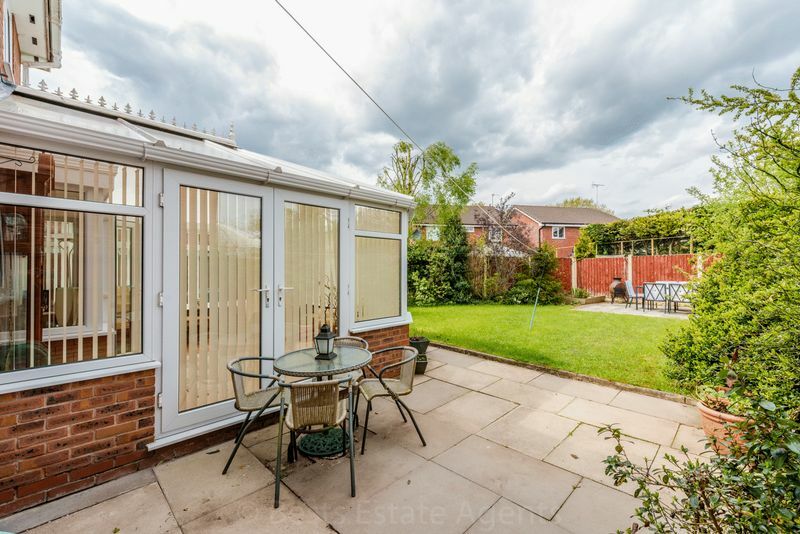 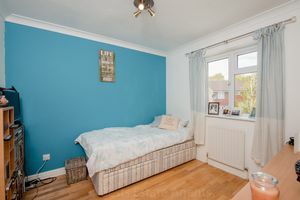 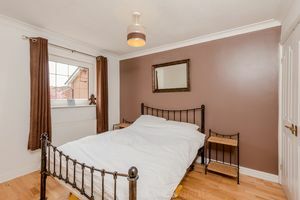 Upon closer inspection viewers will find tastefully appointed well proportioned accommodation ideally suited to family occupation which has been further enhanced by an impressive PVC double glazed conservatory. 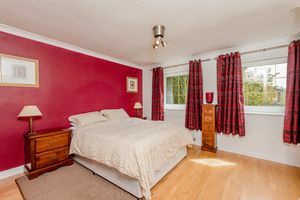 The accommodation benefits from PVC double glazing together with gas fired central heating and briefly comprises, entrance hall, separate lounge and dining room, fitted kitchen and conservatory. 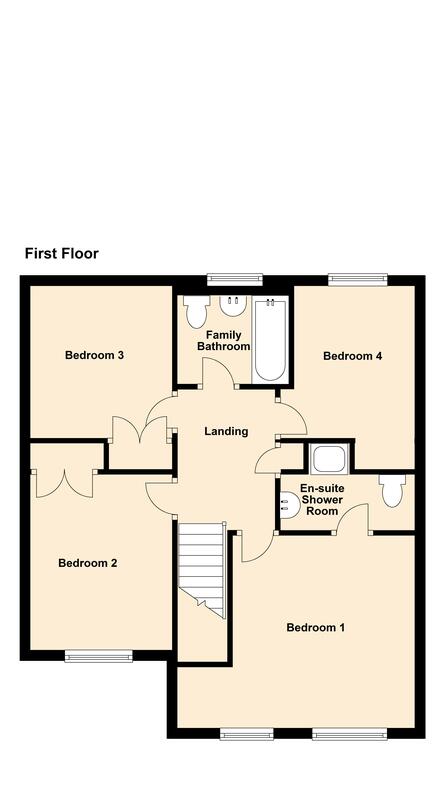 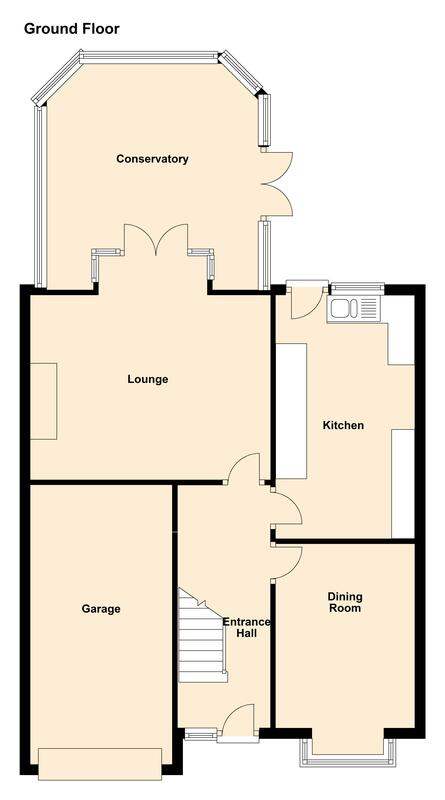 On the first floor there are four bedroom(master with en-suite) and family bathroom. 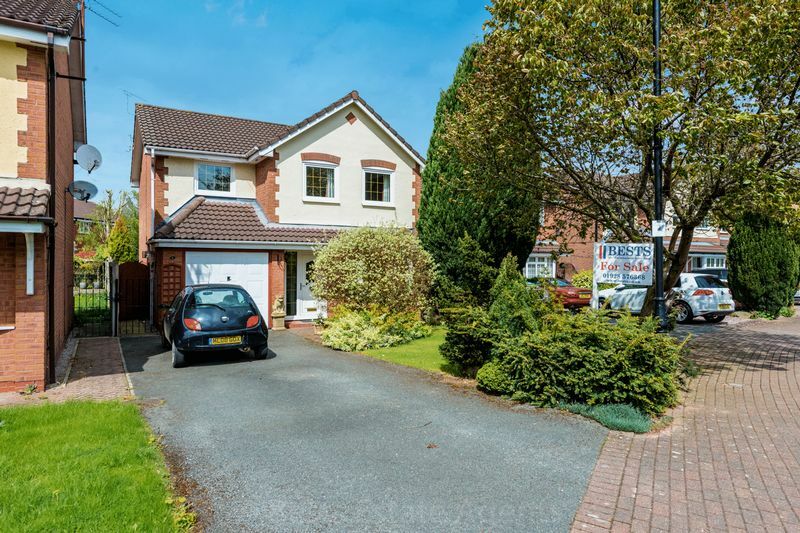 Externally, off road parking with integral garage and established front and rear gardens. 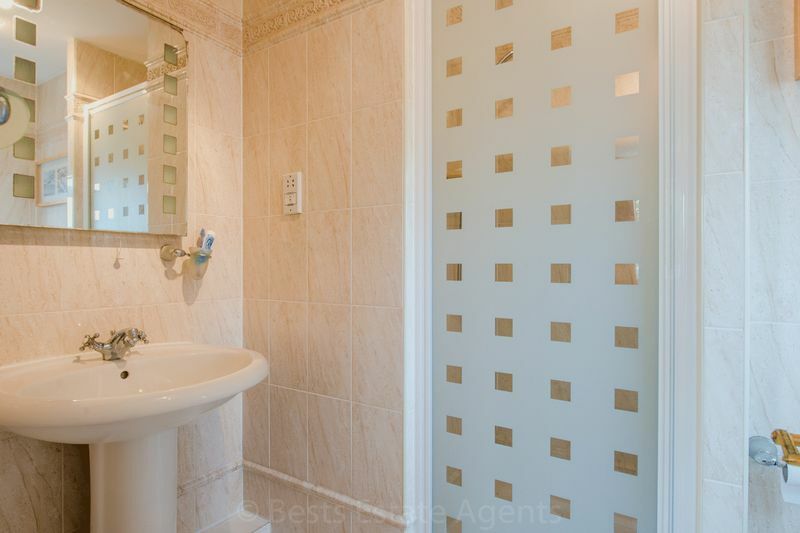 EPC D(65). Early inspection advised. PVC double glazed front door opens to a welcoming hallway. 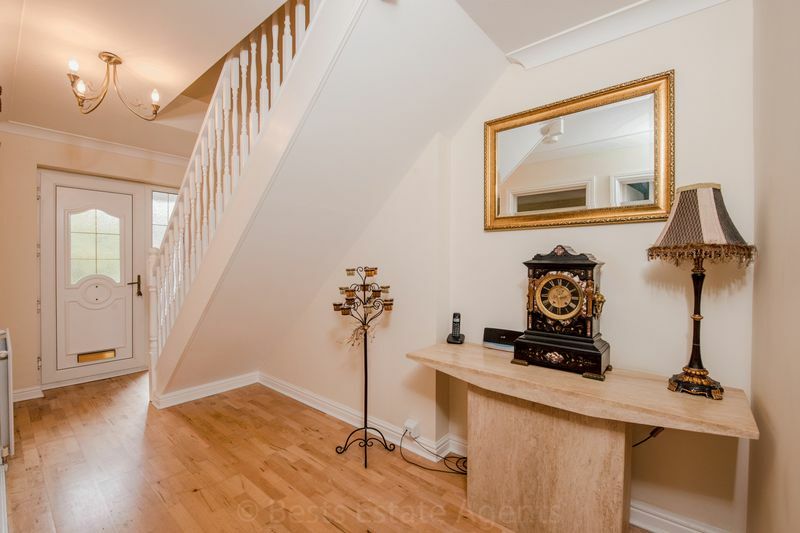 Real wood flooring, single panel radiator, one double and one single power points, stairs to first floor, coved ceiling. 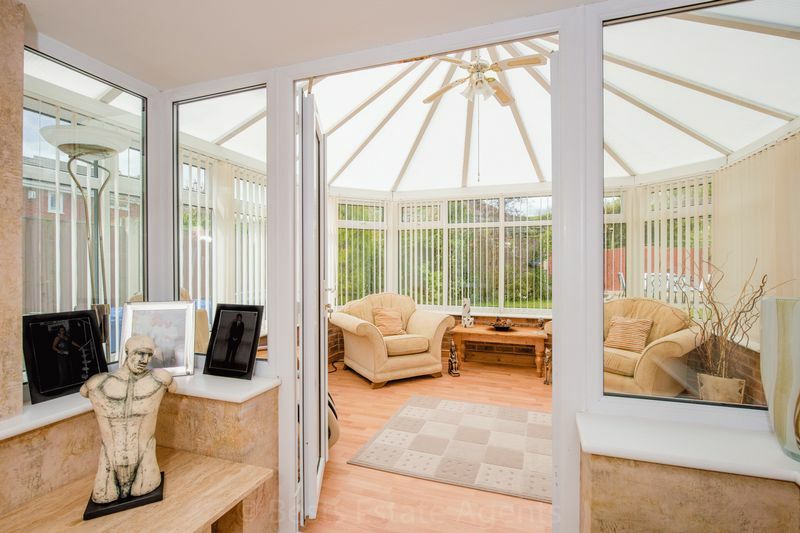 Real wood flooring, fire surround housing a 'pebble effect' living flame gas fire, single panel radiator, PVC double glazed window and French doors to rear elevation opening on to the conservatory, one double two single power points. 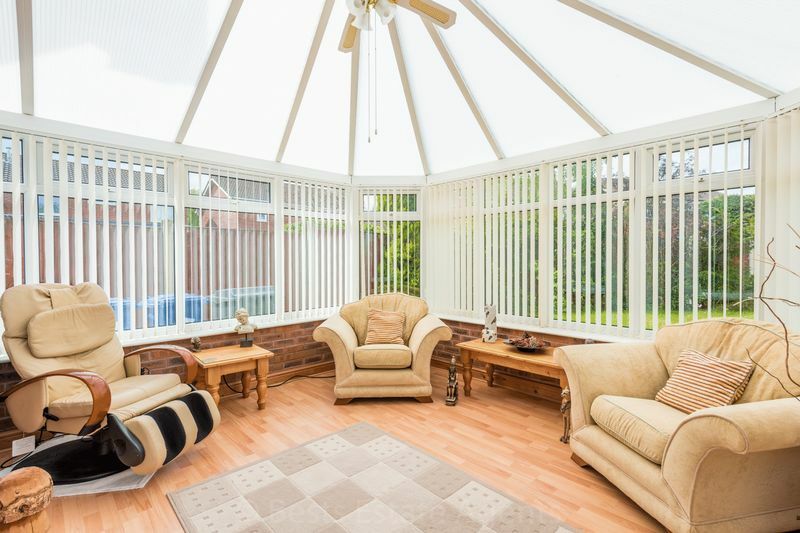 Wood effect laminate flooring, PVC double glazed units, fitted ceiling fan, two double power points. Having a range of modern base and wall units, comprising an inset one and a half bowl single drainer stainless steel sink with mixer taps over, integrated fridge/freezer, plumbing and drainage for an automatic washing machine, single panel radiator, coved ceiling, ceramic tiled floor, filter hood, splash back tiling, PVC double glazed window and entrance door to rear elevation, three double power points. 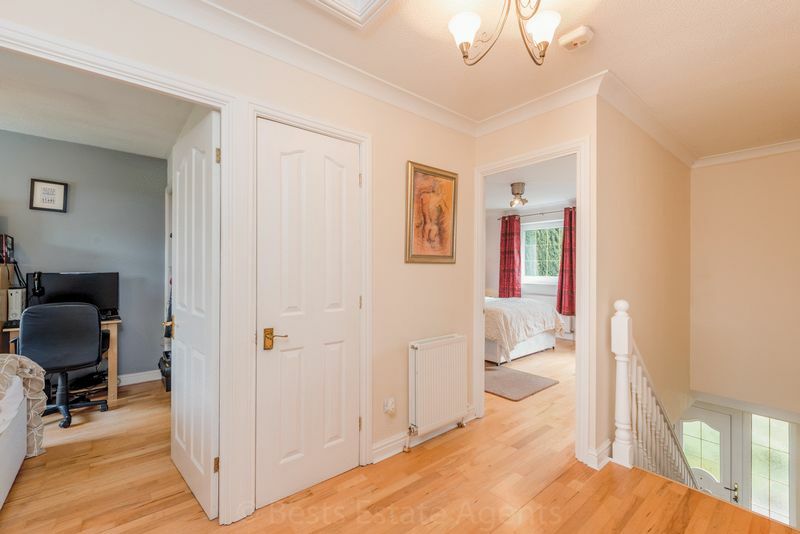 Real wood flooring, coved ceiling, double panel radiator, PVC double glazed box window to front elevation, two single power points. 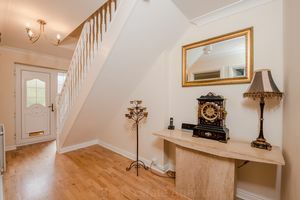 Stairs from hall to first floor landing, access to loft, coved ceiling, real wood flooring, double panel radiator, single power point, built-in airing cupboard with an insulated hot water cylinder. 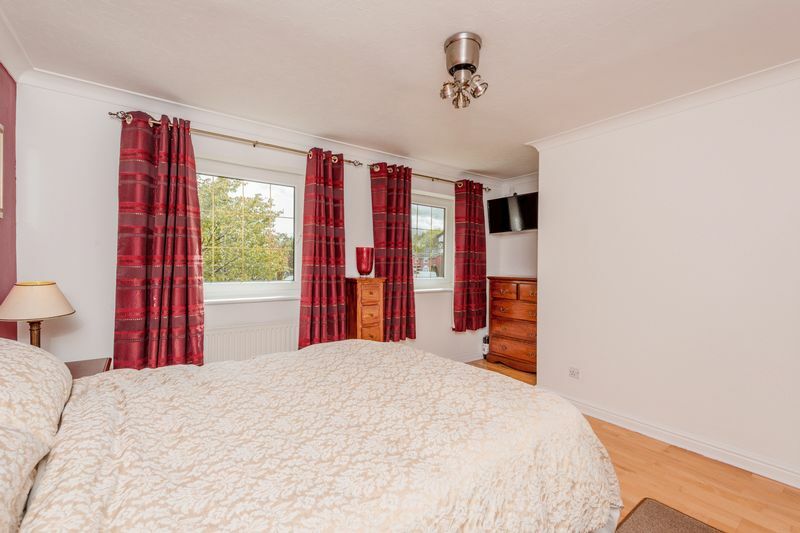 Real wood flooring, single panel radiator, coved ceiling, three double power points, two PVC double glazed windows to front elevation. 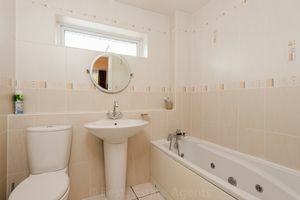 An updated fully tiled room, comprising a separate walk-in shower enclosure with mixer shower attachment, pedestal wash hand basin, low level WC., single panel radiator, shaver point, fitted fan and illuminated wall mirror, PVC double glazed window to side elevation. 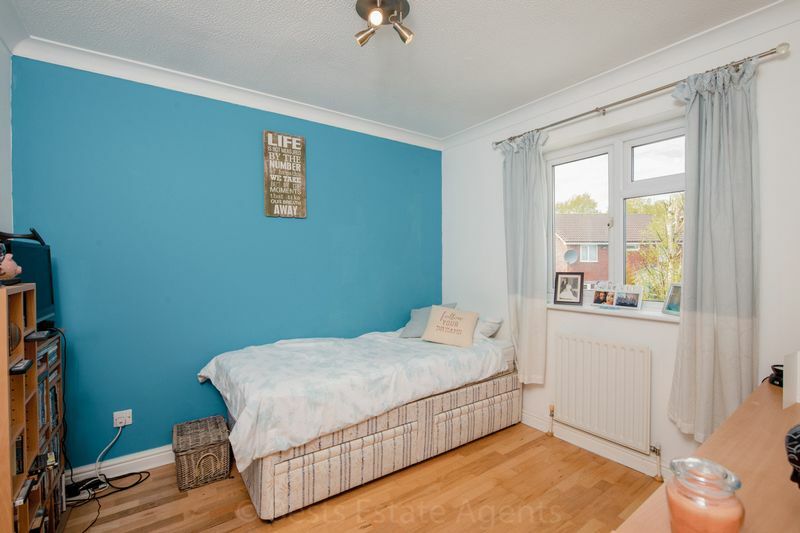 Real wood flooring, coved ceiling, two single power points, built-in double wardrobe, single panel radiator, PVC double glazed window to front elevation. 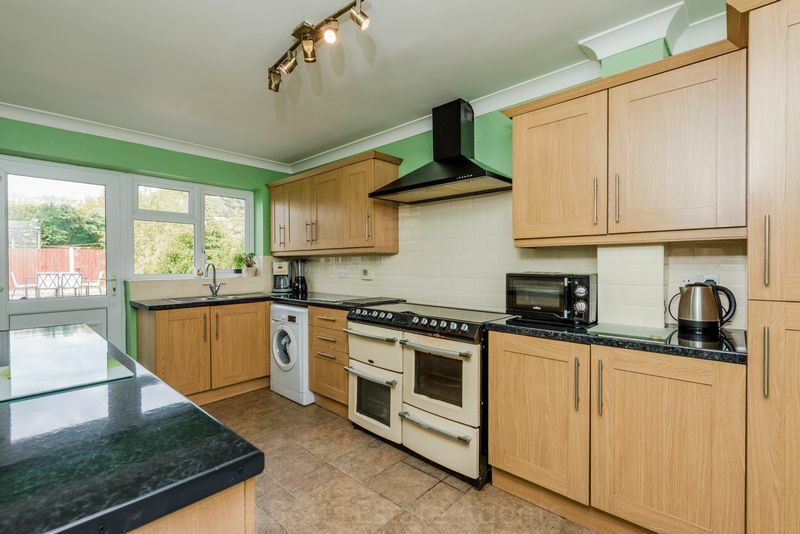 Real wood flooring, coved ceiling, two single power points, single panel radiator, PVC double glazed window to rear elevation, built-in double cupboard. Real wood flooring, two single power points, single panel radiator, PVC double glazed window to rear elevation. A fully tiled room having a white suite with 'spa' bath, low level WC., pedestal wash hand basin, heated towel rail, fitted extractor, PVC double glazed window to rear elevation. 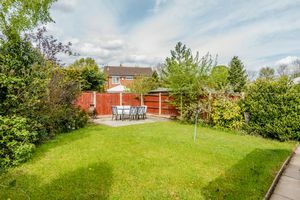 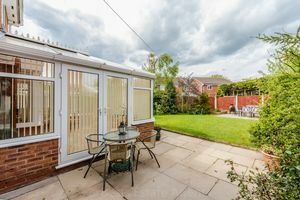 The property is fronted by an established lawn garden, approached over a driveway, leading to an integral garage with up and over door, power and light, wall mounted gas central heating boiler. 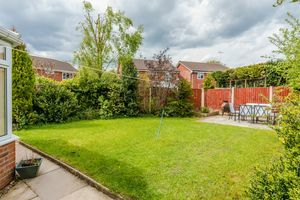 Leave Runcorn town centre towards Delph Bridge into Heath Road turning left onto the A533 expressway heading towards Warrington. 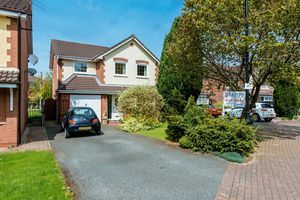 At the Evenwood Roundabout take the 3rd right into Pitts Heath Lane. Dorchester Park can be found on the right hand side.